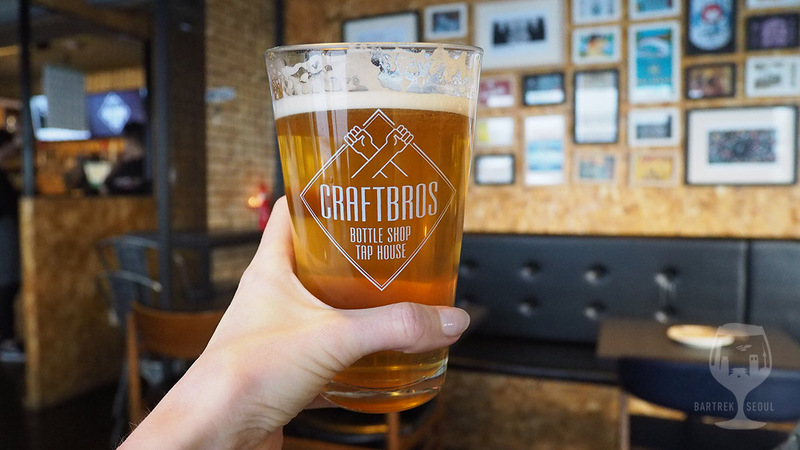 Craftbros tap house is neatly located in the more quiet, but popular streets of Banpo, with a great selection of Korean and foreign beers. 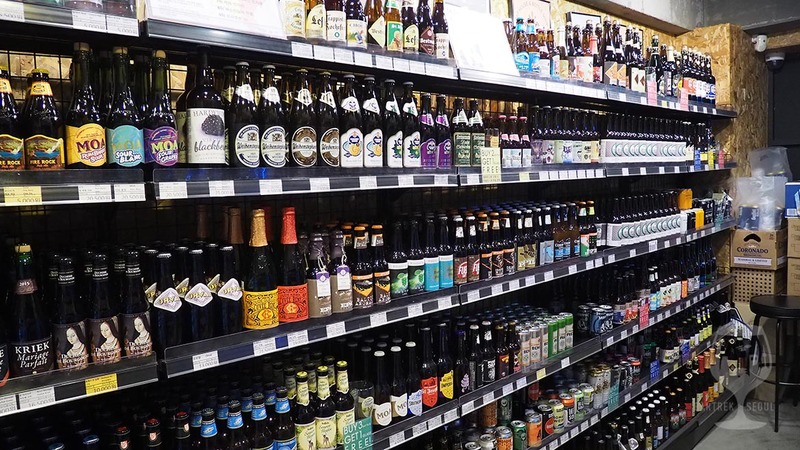 You can also bring home an even larger selection of cans and bottles from the bottle shop in the same venue. Surf Man APA and Brat 3 dIPA. 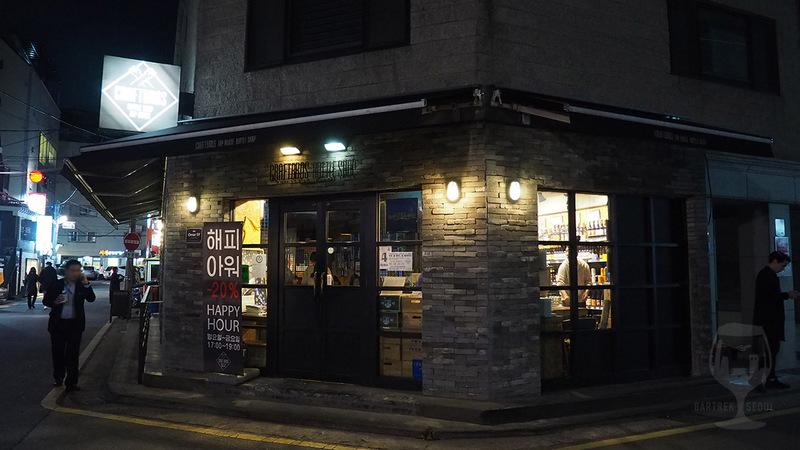 Craftbros is one of the more seasoned breweries in Korea, and have a few classics on their menu complemented by new styles and imports. 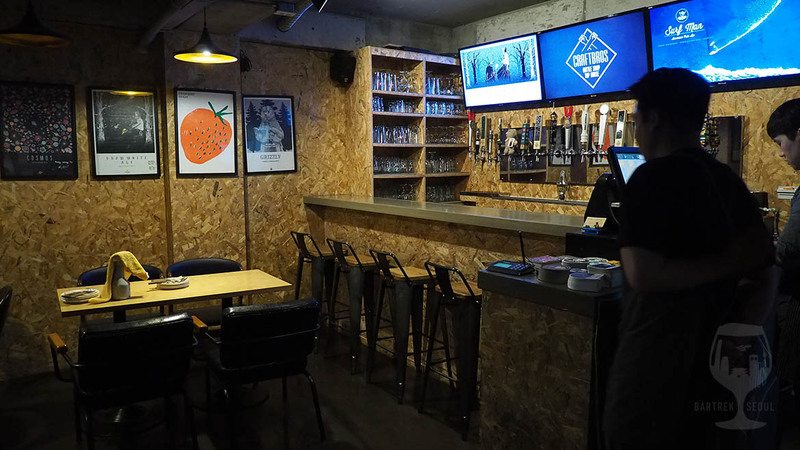 Their perhaps most famous beer, which is available in bars and stores around Seoul, is the Gangnam Pale Ale, actually brewed by Fuggles and Warlock, is a solid, dry and hoppy pale ale. Like Gangnam, it is a clean pour, but with a little aggressive bitterness to keep you on your toes. 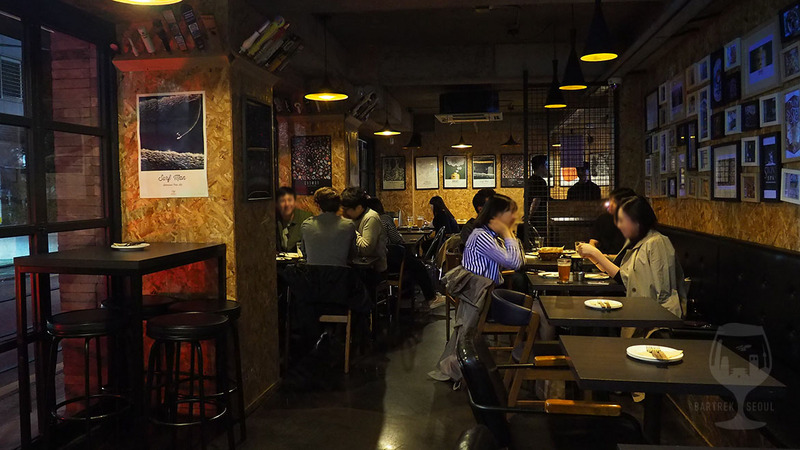 This bar, however, is in a quiet and cozy neighborhood in Banpo, just a pleasant river-stroll away from the Express bus terminal station. The Craftbros Tap House blends into the European style street with a fantastic brick facade. 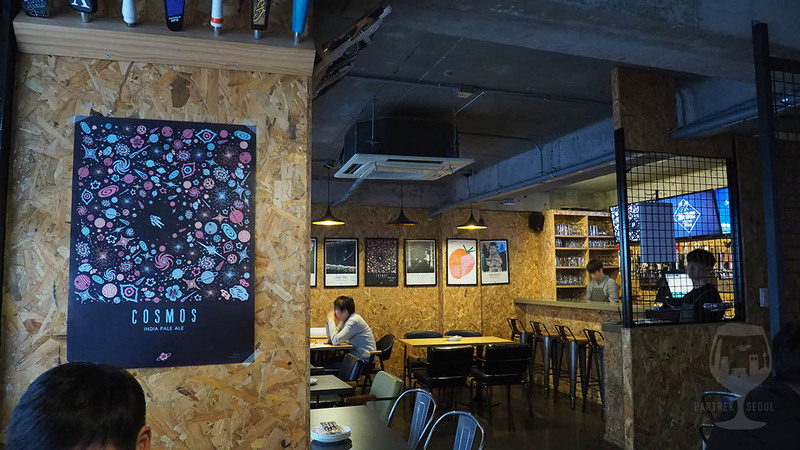 Inside it decorated with chipboards and subtle black furniture, a ton of seating and beer-related posters. 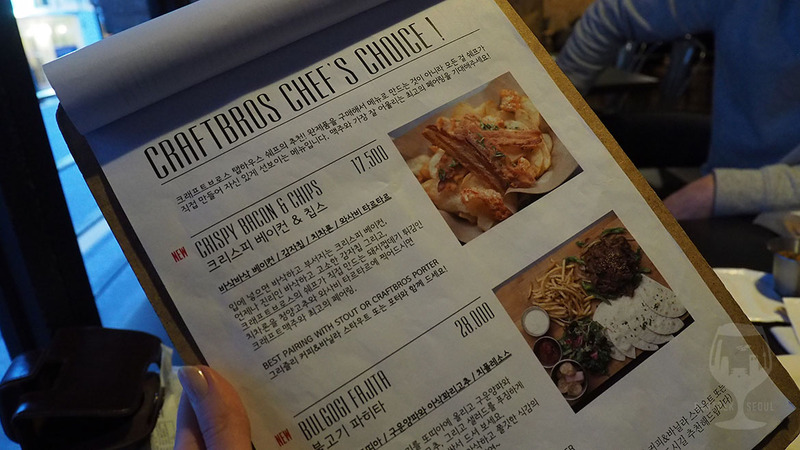 Worth mentioning is also the food menu, which holds several untraditional options for meals and snacks. 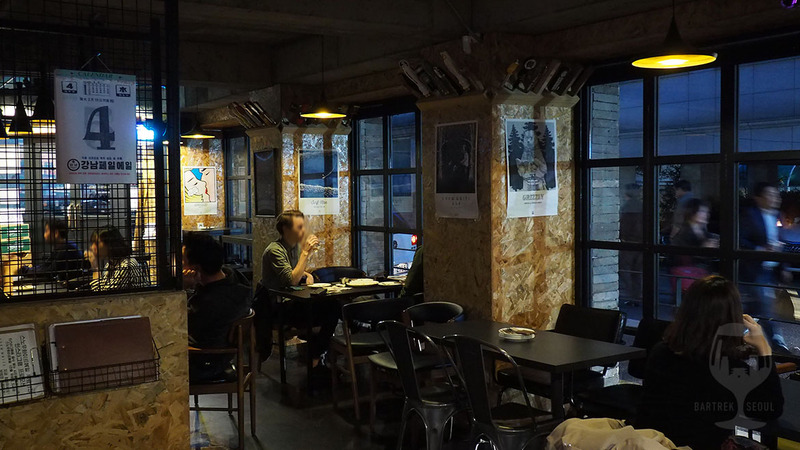 Subtle lighting and an ad hoc vibe with plenty of chipboards. 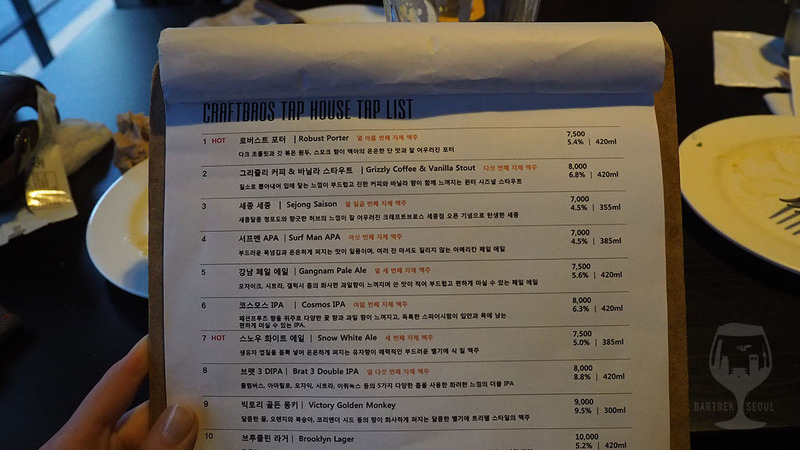 A number of styles available, from Craftbros and other breweries in and outside of Korea. 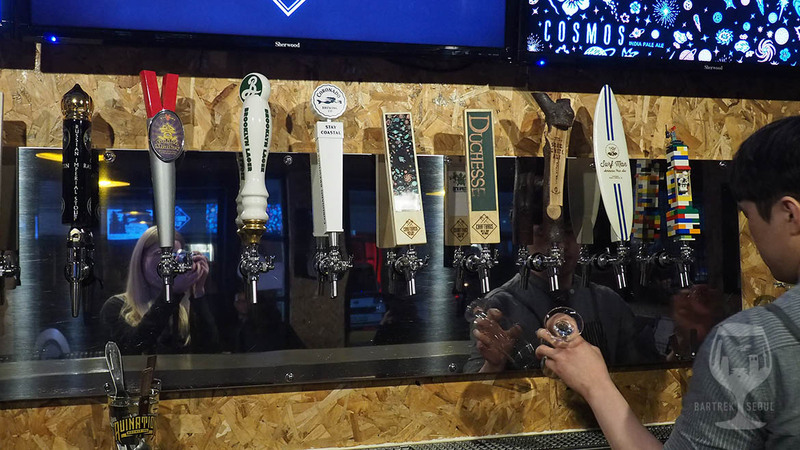 On tap you can find a number of beers from Craftbros as well as other Korean and imported beers. We start off with one of the meanest dIPAs in town, the Brat 3. It is full, deep and sweet, with plenty of hoppy bitterness. 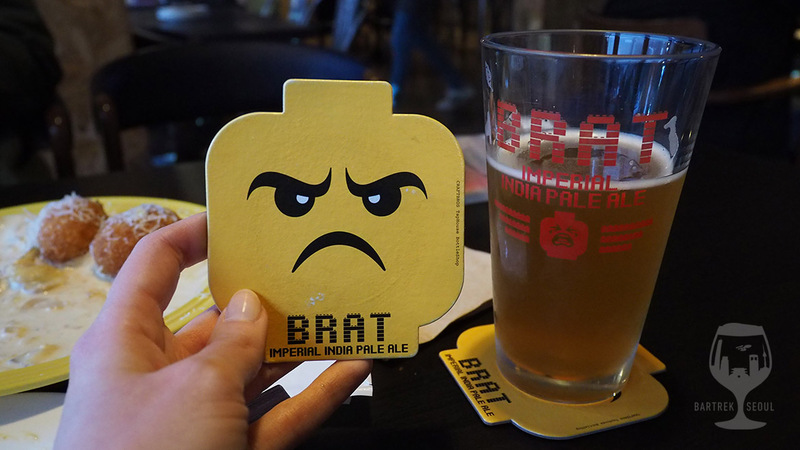 Somehow the frowning Lego man branding fits the flavor, which is cute and angry at the same time. 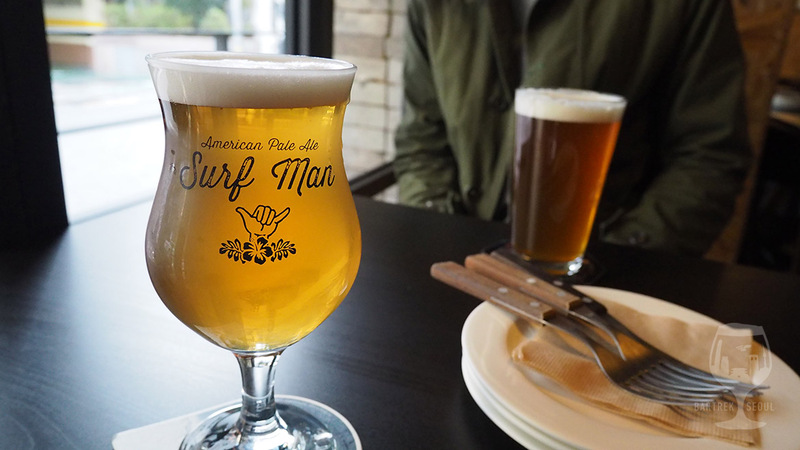 Surf’s up next, with the Surf Man APA, much lighter and drier than the Brat, but still a classic and tasty APA fit for a chill summer night. My personal favorite from Craftbros is however the Cosmos IPA. 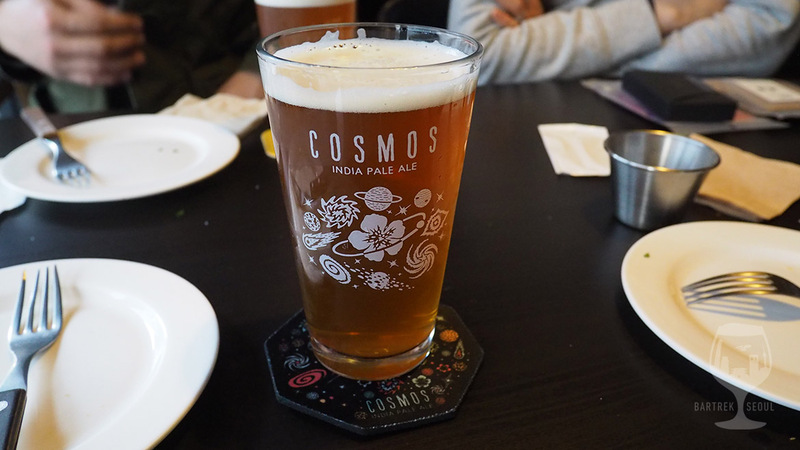 As the name suggests, the Cosmos has quite prominent galaxy hops, making for a hoppy, dry and fruity flavor, fresh and bitter. Yum! One of many pale ales at Craftbros. Cosmos IPA with prominent galaxy hops. Brat 3 dIPA will definitely wake you up. I got a little taster to help me decide between Your IPA from Melvin and Destiny from Fuggles and Warlock. Your IPA is dark, sweet, rich and dank, and I chose to get my last full size pour from the more classic Destiny. Destiny is a classic citrusy IPA with tonnes of hoppy flavor, hints of tropic fruitiness and a medium body. Great on tap, but also recommended if you can get it on a big bottle. The food menu holds some surprises, like the super fruity dessert jelly. 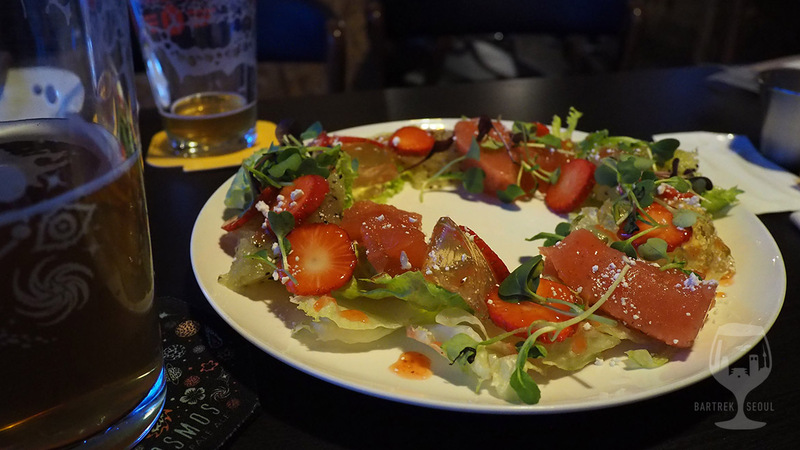 Served on crispy salad leaves, the jelly is almost pure fruit, and not at all as sugary as I feared when I first saw it. We got the Bacon chips, with the bacon stiff and dry enough for finger food, and the potato chips with a little bit of softness still in them. Just salty enough and with two different dips, one of which was quite spicy. 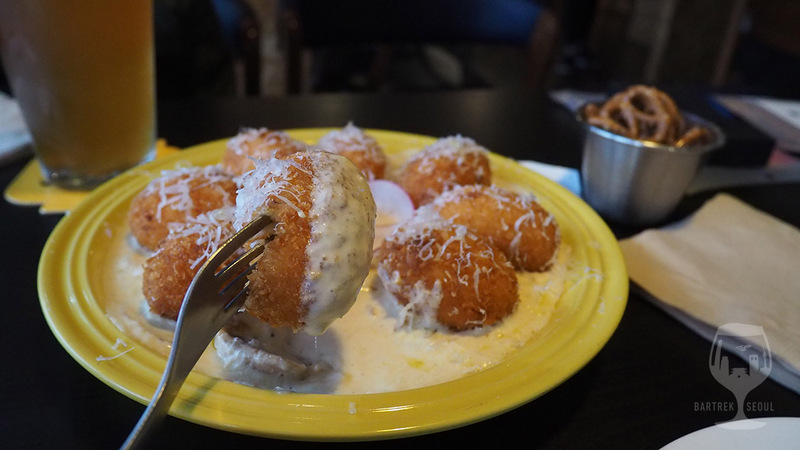 Another surprising menu item, the cheese croquettes, were just as they should – cheesy, tasty and, well, croquetty! If the beer didn’t fill you up, these will. The theme is simple with chip boards, seating and posters. The menu is as interesting as the beer! 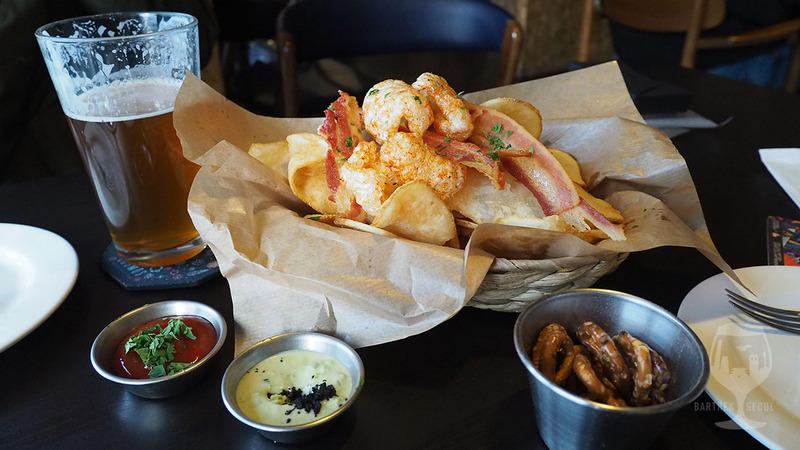 Bacon, chips and crisps with dipping sauces. 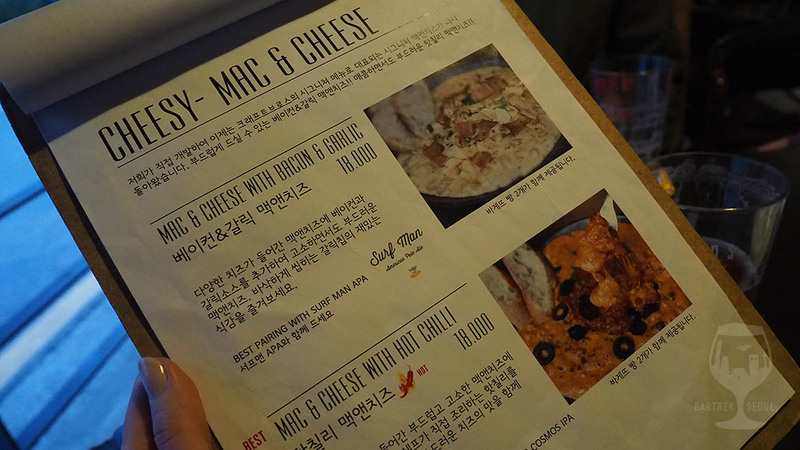 The food menu also has English titles and prices. Posters advertising the different beers make up part of the interior. View to the bar with seating. 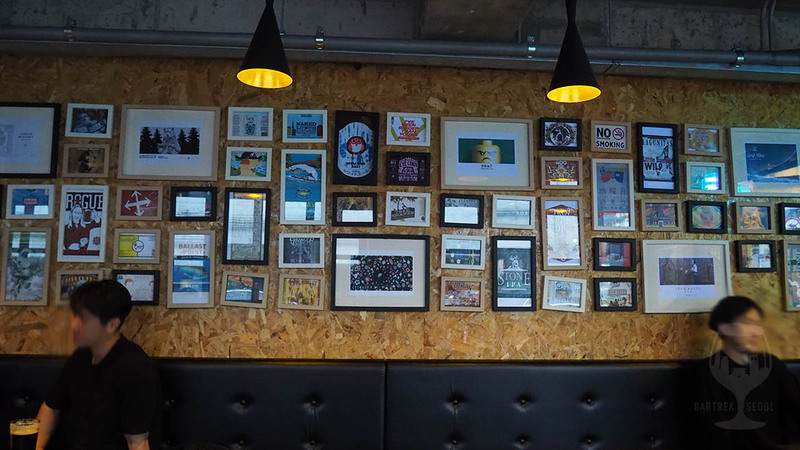 Picture frames with labels, ads, coasters and posters. 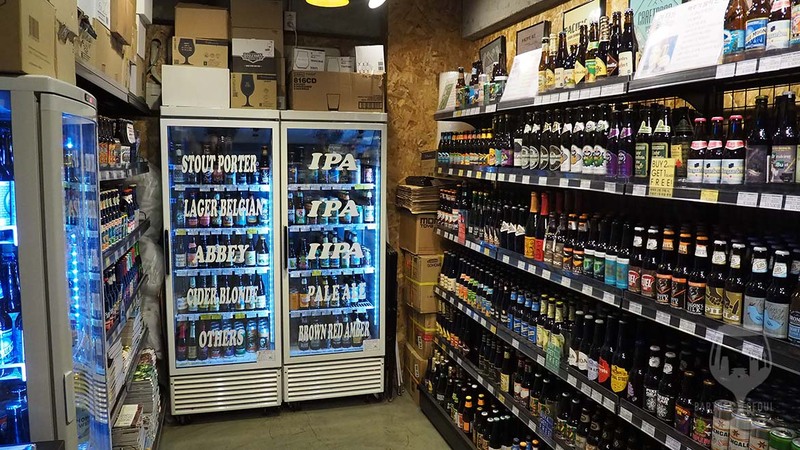 The Craftbros Bottle Shop has a large selection of beer, even cold ones ready to go! Notice also the Gangnam Pale Ale, one of the classics of the house. A fantastic brick facade in a lovely neighborhood.